Item 2: What discussions were held on the impact on rural communities and farm land between Kitchener and London? Item 2: Please provide minutes of meetings, emails, and documents that discusses the impact on rural communities and farmland between Kitchener and London. Over 1000 acres of farmland will be destroyed by HSR. If this was planted into wheat, it would produce enough flour to make 4.3 million loaves of bread a year. The inconvenient truth is that new farmland cannot be created so each loss of acreage is permanent. Many roads will be closed preventing farmers from accessing their land, their suppliers and their customers. Communities will find it more difficult and expensive to access public services such as schools, health care, law enforcement and emergency responders. Rural communities will see no benefit from high-speed rail but they will bear a significant part of the direct and indirect costs. R1 – The High Speed Engagement Meetings – Interim Report – Argyle Public Relationships, April 29th 2016 public consultation plan failed to include any representatives from the agricultural sector. Some delegates did express concern over loss of valuable farmland but there was no industry association representative (potentially the Ontario Federation of Agriculture) present at any of the outreach meetings to offer critical and informed perspectives of the HSR project. This report has nothing to do with the question we asked. R2 – The High Speed Engagement Meetings – Final Report – Argyle Public Relationships Final Report on the results of the public consultations very much reflected the exclusion of the agricultural community along the proposed HSR route and was therefore incomplete data on which to proceed with further planning. The true financial and social costs imposed by the HSR project on the agricultural community and its consumers had been excluded. Considering the contribution agriculture makes to the Ontario economy and food security of Canadians this was a major oversight in the consultation exercise. This report has nothing to do with the question we asked. R3 – It is clear from this November 8 2017 memo that municipalities with significant agricultural interests had received expressions of concern that farmers and their suppliers had not been adequately consulted. It also suggests that MTO had little awareness of the agricultural environment in southwestern Ontario. This was subsequently confirmed during an MTO Environmental Assessment team field trip to the farming and farm supply community in Oxford County. Note: The Special Advisor’s Report was released one year before this memo and the preparation of the Bidder’s Package for HSR had been completed. It is only now that MTO realizes that they should talk to rural stakeholders. R4 – This is a copy of an email from Ken Westcar (formerly with Southwestern Ontario Transportation Alliance (SWOTA), and now with InterCityRail) to the MTO HSR team on February 10 2016. Only an acknowledgement was received and there was no other response from MTO. R5_Redacted – A copy of comments received by MTO in February 2016. These comment sheets are informative and highlight many of the shortcomings in the current HSR plan. However, they are also from a purely urban perspective and do not reflect that the stated goals could be achieved by conventional rail at much lower cost. Improved conventional rail would be less intrusive and devastating to the agricultural community. By limiting the scope of these comment sheets to option only in an urban environment they provide a biased means of support for HSR. This report has nothing to do with the question we asked. R6_Redacted – More copies of comments received by MTO. This report has nothing to do with the question we asked. R7 – More copies of comments received by MTO. These comment sheets contain one expression of concern on agricultural land take for HSR. There is also a comment asking for consultation with small communities. This report has nothing to do with the question we asked. 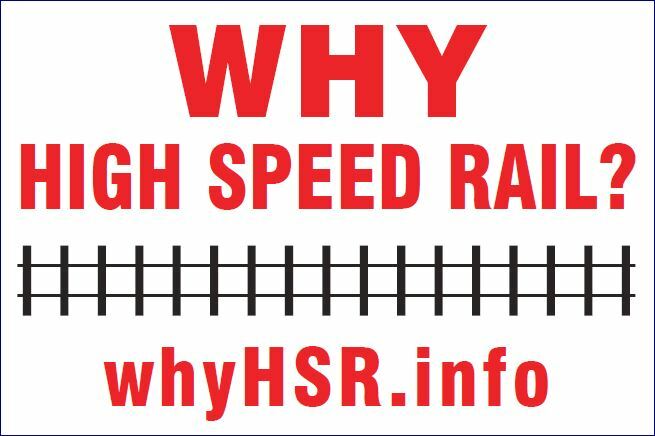 No concerns of the impact of HSR on rural communities or farmland were ever considered by the Special Advisor, the consultants or MTO. ← Item 1: Why was a maximum speed of 200 kph selected for trains operating between Toronto and Kitchener but a speed of 250 kph was selected between Kitchener and London?